I have been pre-occupied for the past few months with making an 18th century reproduction costume. When I decided to start this project I thought that it would be easy, just buy a pattern and sew it. Boy, was I wrong! I began by reasearching what fabrics and textiles were available over 200 years ago, no surprises, linen, flax, wool, silk and cotton, all natural fibres. The more I read, the more I realized that this wouldn’t be quite as simple as I first thought. There were colours that were more popular in different decades, or associated with professions, such as black only being worn by clergy. The weave of the cloth is something else I had to pay attention to, for example linen was used for several purposes, coarser weave for shirts, towels, petticoats and fine for items such as chemises and hankies. The pattern of the weave was another concern, some patterns were more popular and some weren’t seen until later. 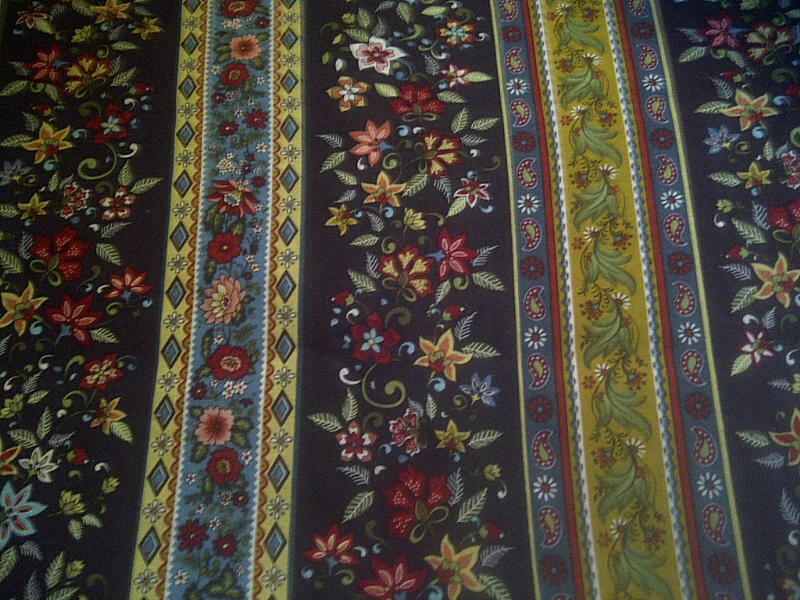 Even the floral patterns changed from decade to decade. Some flowers such as violets and carnations weren’t used until later. I had a hard time finding a fabric that didn’t have any synthetic textiles in it, with the period correct floral pattern and the period correct colours, but I found one print that I thought would be suitable. 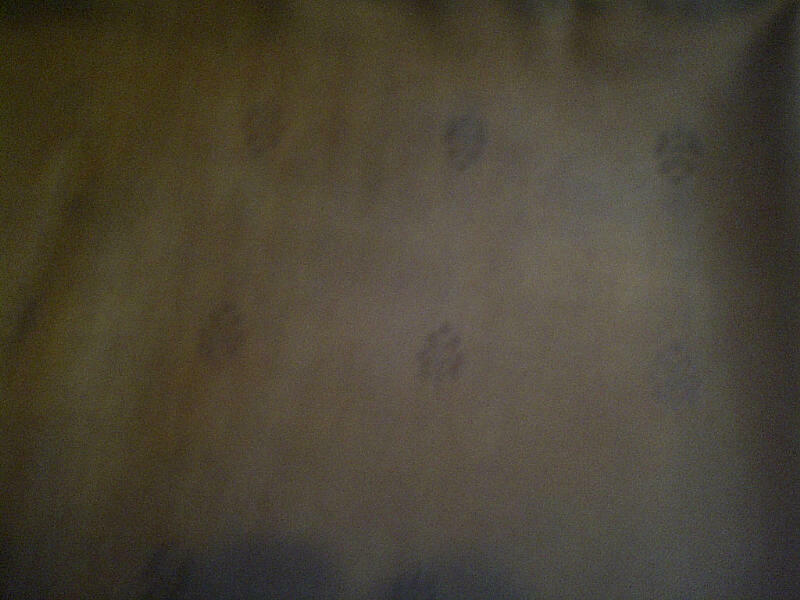 It’s an abstract floral stripe in 100% cotton with a brown background. I am going to attempt to make a pair of work stays as well. I researched and designed my own pattern from the patterns I saw online. I’ve got some silk that I thought would be good for the outer layer, it is iridescent pink and blue with a woven motiff. I saw some period gowns that were made from similar fabric online. There is a lot of hand-sewing involved in making period clothing, I didn’t realize how much until I started. Any seam that is visible, not only form the outside, but the inside as well, has to be hand-stitched. That is part of the reason that I am making my first gown fully lined, otherwise I would have to finish the inside seams by hand. My next one will be unlined linen for warmer weather. Now that I have decided on my fabrics I have to pick a suitable pattern and get sewing! 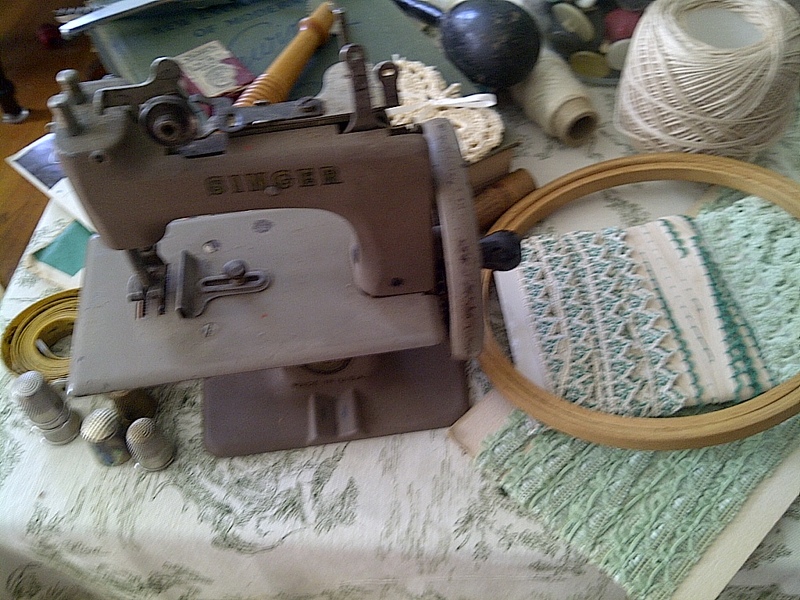 I bought this one at a local auction about 10 years ago to add to my vintage sewing collection. When I got mine as a child I think my parents paid 50 cents for it at Goodwill. I bought this one for $25.00 which I thought was a little too much, but I had to have it. I took it and had it appraised shortly after I bought it, I was surprised to find out that it was valued at about $150.00, what a great buy! Welcome to my blog and to answer the question in the title, I consider anything that is made or modified by man to create a new or altered item to be “crafted by hand”. This includes creating an article from raw materials, like sewing, knitting, crochet, woodworking or just giving an item a new life, such as reupholstering, restoration and refinishing. Adding embellishments to an item to give it that personal touch and make it unique is also included. I also consider interior decorating to be crafting, different painting techniques and fabric and colour choices that give your home personality. I will be blogging about a lot of different topics such as articles of clothing I have created and will create in the future, my craft and woodworking projects, refinishing, antiquing, repurposing flea market finds and anything that I deem appropriate. I hope you will find something of interest to you while reading my posts.